A new smartphone and tablet dock has been designed by BiiSafe, which has been created to provide remote control monitoring functionality for both iOS and Android devices. 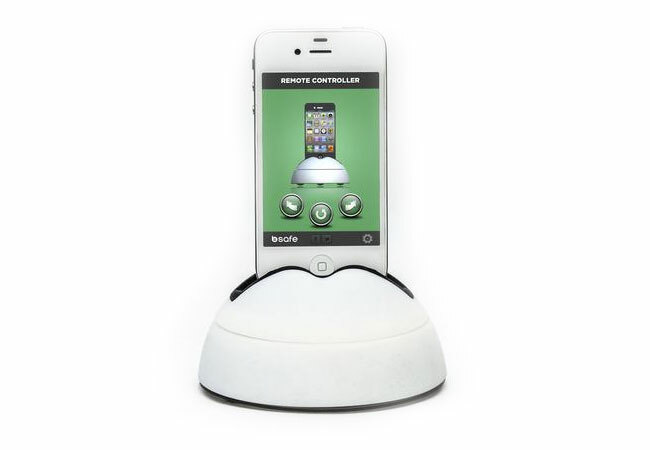 Combining the BiiSafe Smart Dock with its companion app makes it easy to monitor your house or office remotely, or enjoy video conferencing. With movement of the docks rotating top section being controlled with short sound impulses. Watch the video below to learn more about the BiiSafe Smart Dock project and see it in action. The BiiSafe Smart Dock is currently over on the Kickstarter website looking to raise enough pledges to make the jump from concept to production. So if you think BiiSafe Smart Dock is something you could benefit from, visit the Kickstarter website now to make a pledge and help the BiiSafe Smart Dock become a reality.